You Are Never Going To Look At The Book Of Revelation The Same Way Again The worst times in all of human history are coming, and what Michael Snyder has uncovered is this book has dramatic implications for every man, woman and child on the entire planet. The Rapture Verdict is likely to become one of the most controversial Christian books in decades, and it addresses many of the hottest questions being debated today... -Will Christians have to go through all of the chaos described in the book of Revelation? -Is the judgment of God coming to America? -Are we on the verge of entering the Great Tribulation? -What is \"the parousia,\" and how does that ancient Greek word completely shake up conventional theories about the rapture? -Does the rapture come before, after or somewhere in the middle of the Tribulation? -Why are millions of Christians in the western world going to become extremely angry with their pastors? -Do the Biblical festivals provide us with a prophetic template for the events surrounding the second coming of Jesus Christ? -Will this be the generation that witnesses the rise of the Antichrist and the Mark of the Beast? -Is the organized church in danger of missing out on the greatest move of God the world has ever seen? Michael Snyder answers those questions along with so many others in an uncompromising manner. The amazing discoveries and ominous warnings that he shares in this book are going to shake the Christian world to the core. The Rapture Verdict is both a chilling warning and a deeply inspiring message of hope. If you want to be on the cutting edge of what God is doing in these last days, then this is one book that you cannot afford to miss. Michael T. Snyder is a former Washington D.C. attorney who now spends his full-time researching, writing, speaking and publishing The Economic Collapse Blog. Michael and his wife Meranda believe that God is going to move greatly even in the midst of all the chaos and darkness that are coming. They are convinced that the greatest move of God and the greatest harvest of souls the world has ever seen will happen between right now and the triumphant return of Jesus Christ to this planet. 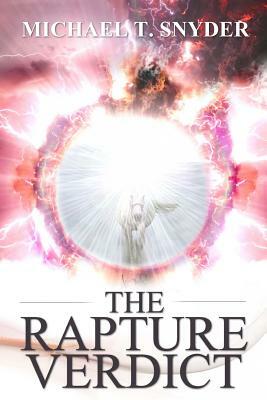 The Rapture Verdict by Snyder, Michael was published by Michael Snyder in March 2016. The ISBN for The Rapture Verdict is 9780692642658. Be the first to review The Rapture Verdict! Got a question? No problem! Just click here to ask us about The Rapture Verdict.